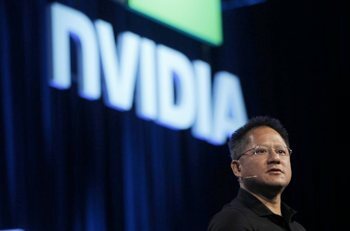 During a speech at Nvidia’s annual Analyst Day, mobile business manager Mike Rayfield told those in attendance that the company plans to release 30 Tegra 3-powered smartphones by the end of 2012. That is a pretty lofty goal considering 2012 is nearly half way over with and there’s only a single Tegra 3 phone on the market right now and just one more announced to launch in select European countries next month. In 2011, Nvidia only released 15 Tegra 2 handsets in addition to a bevy of tablets sporting the same processor. Rayfiled noted that of the 30 phones being launched this year, 18 would be heading to China and all would be priced under $300. That leaves a dozen or so handsets for everyone else, although there was no mention specifically of how many would be coming to the US. AT&T made the quad-core HTC One X available earlier this month as the first handset to ship with Tegra 3 while LG plans to release the similarly-equipped Optimus 4X HD next month in Germany, Italy, Sweden and the UK first before initiating a global rollout. In somewhat related news, the executive also introduced the Icera 500, a next-generation LTE modem that will be paired with the successor to Tegra 3, codenamed “Grey.” This will become Nvidia’s first integrated LTE silicon, but don’t expect to see that until sometime next year. Standalone Icera parts will launch later this year, however.